SEVENTEENTH TEXAS CAVALRY. The Seventeenth Texas Cavalry was organized in the spring and early summer of 1862 and mustered into service in the Confederate Army on March 15, 1862. The regiment was arranged into six companies of about 1,000 men from Cherokee, Smith, and Red River counties and from the towns of Jimtown (Jamestown) and Douglas, Texas. The Seventeenth Cavalry's original commander was Col. George F. Moore, and its other field officers included Sterling B. Hendricks (lieutenant colonel), John McClarty (major), Sebron M. Noble (major, lieutenant colonel), James R. Taylor (colonel), and Thomas F. Tucker (colonel). Edward Wells of Company C, Seventeenth Texas Cavalry. Image available on the Internet and included in accordance with Title 17 U.S.C. Section 107. On April, 24, 1862, the regiment transferred to Arkansas where it was assigned to First Brigade, Second Division, Trans-Mississippi Department. On May 24, the unit was reorganized into nine companies, and the commanding officer, George F. Moore, was relieved of command and was replaced with James R. Taylor. By August 1862, the Seventeenth Cavalry dismounted prior to the engagment at Arkansas Post on January 11, 1863. At this battle, the majority of the unit's members were captured. The men that were taken prisoner at Arkansas Post were transferred to Fort Delaware via Camp Chase in Ohio. On April 29, 1863, they were exchanged for Union prisoners and returned to service in the Confederate Army. Thereafter, the Seventeenth Cavalry had a unique dual identity, as the larger portion of the regiment that was captured and paroled served east of the Mississippi River, while a smaller portion, composed mainly of men not captured, continued to serve west of the Mississippi River. However, the portion of the unit that remained in the east was consolidated with the Eighteenth Texas Cavalry from July 1863 to April 9, 1865. In July 1864 the Seventeenth was further consolidated with the Twenty-fourth and Twenty-fifth Texas Cavalry regiments. The consolidated regiment serving east of the Mississippi River saw its first action at the battle of Chickamauga as part of James Deshler's, J. A. Smith's, and Granbury's Texas Brigade, Army of Tennessee. The Seventeenth Cavalry and its consolidated regiments reported over 200 casualties at Chickamauga. The regiment serving east of the Mississippi remained with the Army of Tennessee until December 1864. During this time, the unit took part in such notable engagements as the siege of Chattanooga, the assault and capture of Lookout Mountain and Missionary Ridge, the assault on Kennesaw Mountain, the battle of Peach Tree Creek, and the battle and siege of Atlanta. From September to November 1864 the regiment participated in Gen. John Bell Hood’s operations in northern Georgia and northern Alabama before returning to Tennessee to take part in the battles of Franklin and Nashville. Later, the eastern portion of the regiment served in defense against Gen. William T. Sherman's campaign of the Carolinas, including the battle of Bentonville in North Carolina. On April 9, 1865, the eastern unit was further consolidated with the Sixth, Seventh, and Tenth Texas Infantry regiments and the Fifteenth Texas Cavalry regiment at Smithfield, North Carolina, and designated the First Texas Consolidated Infantry. On April 26, 1865, the eastern unit surrendered to Union forces at Durham Station, North Carolina. The western portion of the Seventeenth Cavalry served as part of the Trans-Mississippi Department until the end of the war. From October to November 1863 the western unit of the regiment participated in the defense of western Louisiana and the Tech Country including actions as Opelousas, Barre Landing, Grand Coteau, Bayou Bourbeau, Carrion Crow Bayou, and Buzzard's Prairie. Beginning in March 1864 Union Gen. Nathanial P. Banks launched his Red River campaign in an attempt to sever Texas from the Confederacy and disrupt the Trans-Mississippi cotton trade. The Seventeenth Cavalry took part in operations against Bank's offensive including participation in the battles of Mansfield and Pleasant Hill, and numerous minor skirmishes. Later, from April to May 1864, the western unit took part in operations against Union Maj. Gen. Frederick Steele's Camden campaign. Steele's objective was to move south from Little Rock towards Camden in an effort to link up with Gen. Nathanial P. Banks's forces that were moving north from New Orleans. The western unit was included among the Trans-Mississippi Department forces that surrendered at Galveston, Texas, on June 3, 1865. Joseph H. Crute, Jr., Units of the Confederate States Army (Midlothian, Virginia: Derwent, 1987), Stewart Sifakis, Compendium of the Confederate Armies: Texas (New York: Facts on File, 1995). John F. Walter, "Histories of Texas Units in the Civil War," Ms., Historical Research Center, Texas Heritage Museum, Hill College, Hillsboro, Texas, 1981. 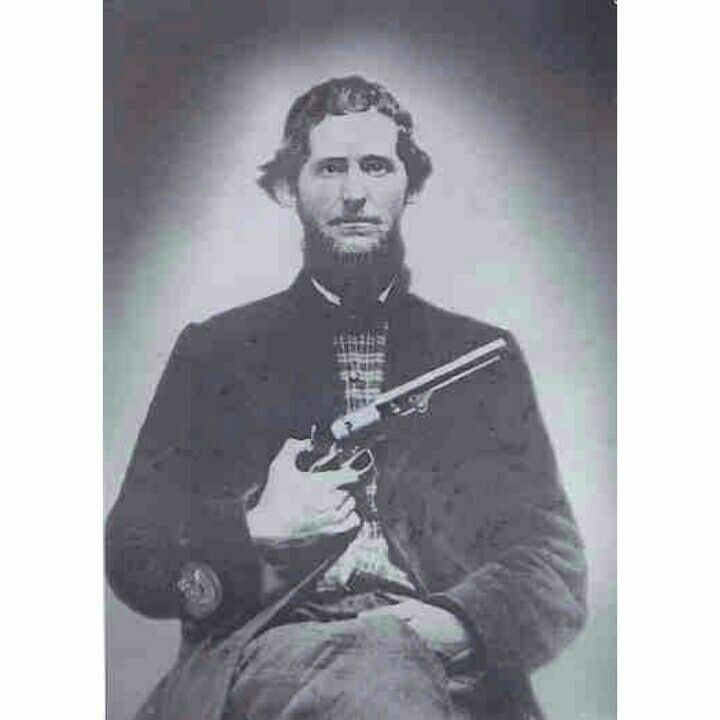 Handbook of Texas Online, Matthew K. Hamilton, "SEVENTEENTH TEXAS CAVALRY," accessed April 18, 2019, http://www.tshaonline.org/handbook/online/articles/qks11. Uploaded on April 10, 2011. Modified on January 13, 2016. Published by the Texas State Historical Association.